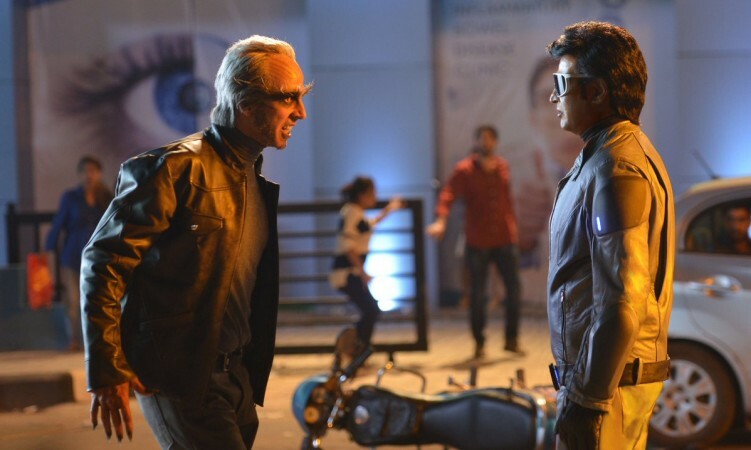 Rajinikanth's 2.0 (Enthiran / Robot 2.o) has made an average collection at the box office in certain regions in three days and the trade experts feel that the bad planning of its release is the reason for its poor business. Rajinikanth's 2.0 (Enthiran / Robot 2.o) has made an average collection at the box office in certain regions and the trade experts feel that the bad planning of its release is the reason for its poor business. Shankar's 2.0 is next biggest creative film after Baahubali 2 and Padmaavat and a lot of aspects had generated a huge amount of curiosity and hype for it. Many people across the globe waited with bated breath for its release. After seeing the craze, the trade analyst predicted that the flick will shatter the records of all Indian blockbusters and it remains as another landmark film in terms of its business. But the trade experts were shell-shocked when 2.0 failed to break a single big record at the box office on its opening day. Sumit Kadel, the analyst of Hindi film trade tweeted, "#2point0 Budget is HUGE 550 cr. Film is doing good business but to get a HIT tag it should have created HAVOC at the BO, unfortunately it is not happening. Film day-1 Collection was good, Day-2 has a All Ind drop of appx 15%. Film is heading towards FLOP verdict. Sad but true." After analysing the business of 2.0's Hindi version, some trade pandits feel that AA Films, which distributed it in the Hindi speaking regions, had a planning for its release that took away the opportunity of shattering or setting a new record of collections. Film trade observer Rohit Jaiswal tweeted on Saturday, "The reason why #2Point0 Hindi Version Started low was AA FILMS arrogance, they Wanted to Club #Rajinikanth Film #2Point0 with #Yash film #KGF tried their level best to CLUB two films, But Failed Miserably, Destroyed #AkshayKumar Fans Dream of 30cr Opening.... SAD but TRUTH... (sic)." The US is another region where 2.0 has fallen flat. Baahubali breached the $3.5 million mark at the US box office in its premiere shows, which were held a day before its release in the country. Whereas the Shankar-directed sci-fi action extravaganza is struggling to surpass this mark in the country in four days. Prime Media, which has distributed 2.0 in the US, admitted its failure minutes before its premiere. The distribution house tweeted, "#2Point0 storm in 15 mins. Lot of things didn't go as planned for premier shows. Thanks for being patient with us. We should be in full force from tomorrow. Enjoy this beautiful creation by Shankar and watch it with family and friends. #G2G1Intl p.s If you see any issue in theater show times or pricing let us know." In fact, the distribution also failed in reporting the collection figures of 2.0 properly. PrimeMedia tweeted on Nov 30. "Request to all trackers reporting #2Point0 USA numbers. We found discrepancies, working with theaters & comscore. We will report correct numbers soon. @THEPANIPURI @Overseasrights @rameshlaus @LMKMovieManiac @LycaProductions." Hours later, PrimeMedia came up with the reason and tweeted, "#2Point0 BO collection problem identified. None of large format (XD, RPX & Ultra screen) screens are reported. @Comscore notified & will be updated by EOD. Probably not reported in today's hourly gross too #2PointO @GKMediaUSA." However, the opening day collection and the word of mouth decide whether a movie is going to be a hit or flop. PrimeMedia is planning to increase its screen count in the US in the second week. It should be seen how far this strategy would work. The distributors tweeted, "#2Point0 week2 expansion.If we had missed opening in your city pls let us know by noon tomm with theater & language pref. We will try to satisfy your request.#2PointO Lyca Productions #G2G1Intl."